OrthoConnecticut | Michael G. Brand, M.D. 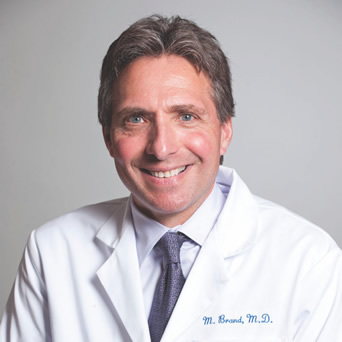 Dr. Michael Brand has specialized in sports medicine and reconstructive knee surgery for more than 20 years and initiated the concept of a sports medicine team at Danbury Orthopedics. After completing his orthopedic training at the Harvard University Combined Orthopedic Residency Program, he was selected to serve as Chief Resident of the Orthopedic Service at Massachusetts General Hospital. Following this, he completed a fellowship in sports medicine and reconstructive knee surgery at the San Diego Knee and Sports Medicine Program at the University of California, San Diego. 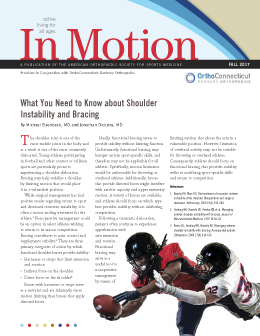 He has worked with professional sports teams, as well as Division 1 NCAA athletes during his career and currently serves as team physician at Western Connecticut State University (WCSU), Ridgefield High School, and Newtown High School. Dr. Brand co-founded the Western Connecticut Sports Medicine Society, which provides education for local trainers and physical therapists. He was also instrumental in starting an ACL-injury prevention program and implementing the ImPact concussion management program at WCSU and at local high schools. He is dedicated to employing an integrated team approach to injury treatment and prevention, and bringing together trainer, doctor, and therapist to achieve optimal patient outcomes. He is widely recognized for his work as a shoulder and knee surgeon, including reconstructive knee surgery, arthroscopic knee and shoulder surgery, and ACL and ACL revision surgery. Dr. 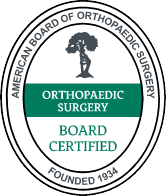 Brand is active in the American Orthopaedic Society for Sports Medicine, serves on the Board of Directors of the National Orthopedic Education Society, and also currently serves as President of OrthoConnecticut.